Parenting Support Group for parents and grandparents of all ages. We meet Mondays during the school year from 9:30 am - 10:30 am. Childcare provided. 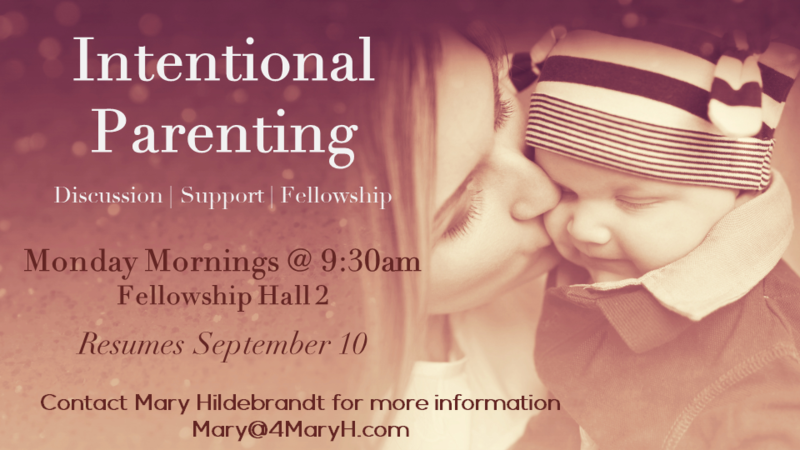 Please contact Mary Hildebrandt for more information.